When you enter a room, your scent is what attracts people to you and makes a long lasting impression, even after you have left. So you need to ensure that you choose a perfume that is a depiction of your personality. Wild Stone's exclusive collections of perfumes are the best perfumes available for men in India. With Wild Stone's Cody Body Perfume, you are not going to go unnoticed. Wild Stone's Code Body Perfumes are crafted in the exquisite perfumeries of France by master designers. These perfumes for men are available to purchase online and have a fragrance that lasts all day long. With Wild Stone, you can easily buy these perfumes without having to burn a hole in your pockets as these are so affordable and of the ultimate quality. With no gas and only perfume, Wild Stone's Cody Body Perfumes are charted as one of the best perfumes for men in India. Crafted for the man who wants to make an impression wherever he goes, Wild Stone's Code Chrome Body Perfume is a perfume that has been designed exclusively in perfumeries in France. It has got the base notes of vanilla and a combination of woody and ambery notes with the top notes of apple and citrus lending it a fresh fragrance. Its citrusy freshness keeps you going all day, making it the best perfume for daily wear or a date with your significant other. Wild Stone's Code Copper Body Perfume has the base notes of rosewood and amber with the top notes of lemon. These citrusy notes are combined with hints of some woody scents and the freshness of pineapple. Designed and crafted in the perfumeries of France, this perfume is best suited for any occasion, whether you want to hit up the gym or go to the club and will get you noticed without making any efforts. 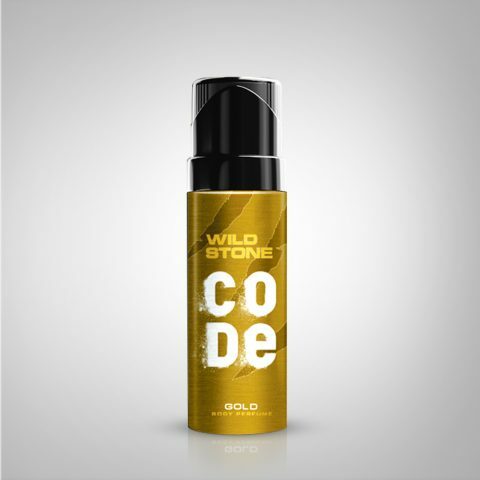 With accords of musk and moss, Wild Stone's Code Gold Body Perfume helps transform your magnetic charisma into your signature scent. It has aromatic spicy fresh top notes along with the base notes of sandalwood and musk. Got a date with your special someone, tonight? With this perfume, capture your lady's attention and let them be lost in you all evening for it exudes sensuality and confidence. 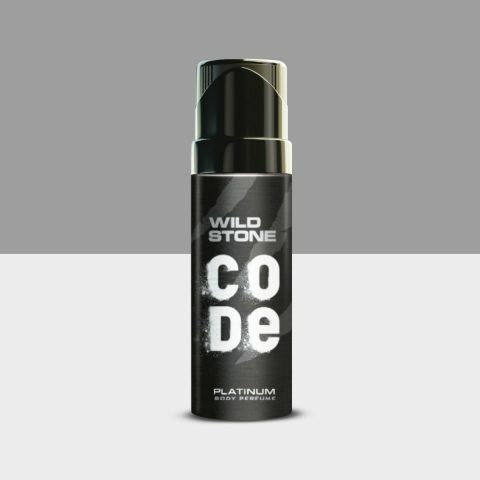 A perfume that will not let you go unnoticed, Wild Stone Code Platinum Body Perfume is an enigmatic blend of apple, cedarwood and marine notes, with such clear notes that will surely make you stand out from the crowd. The Code Platinum Body Perfume is your go-to, whenever there's a party coming up. This perfume truly defines charisma and attracts those around you, complementing your young and raw personality. When your perfume is made up of lemony and citrusy freshness, you are gonna stay cool and calm all day long, which is why the Wild Stone Code Steel Body Perfume complements your free-spirited, relaxed persona. It contains no gas, only perfume that has the base notes of white musk and sandalwood with heart notes of basil accompanied by top notes of melon and mandarin. A refreshing perfume, sport this for a gym session or use it as a part of your everyday routine. 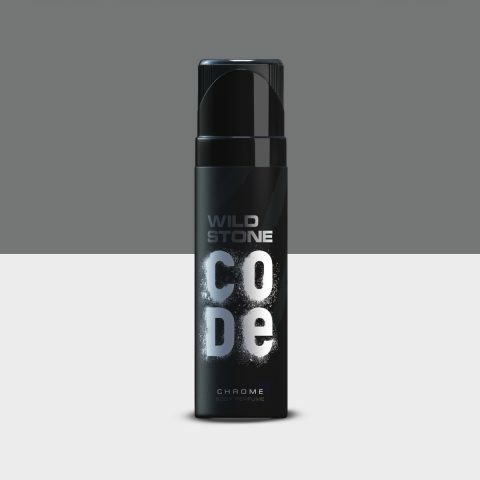 An aquatic fragrance, Wild Stone Code Titanium Body Perfume is crafted by master perfumes. Made up of elements such as tonka beans and sandalwood, this perfume has a spicy, woody fragrance that boosts your confidence. It is the epitome of being sophisticated yet cool and casual. 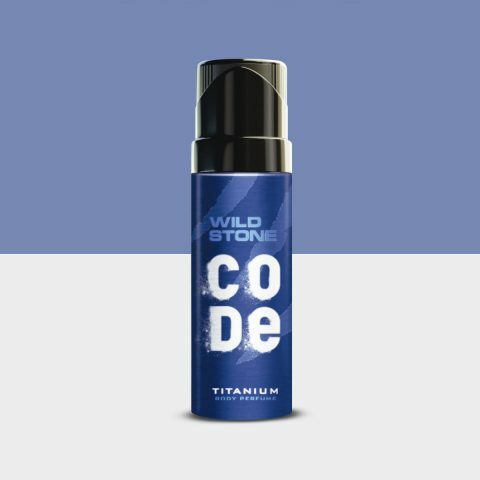 Make a long-lasting impression on your colleagues with Wild Stone Code Titanium Body Perfume as it suits your bold, successful personality.